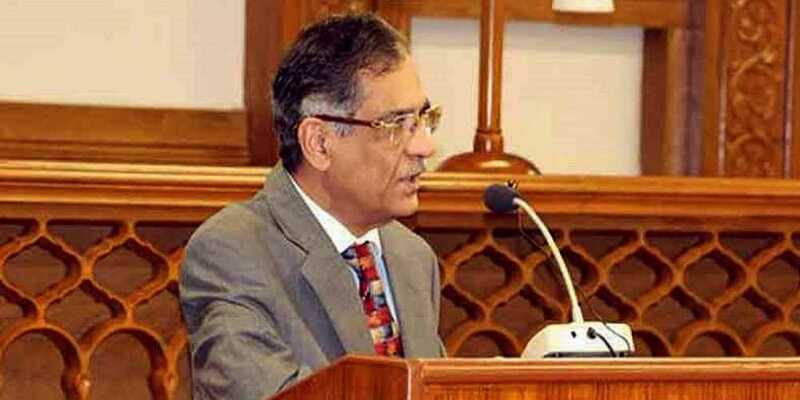 While hearing the Bani Gala case, Chief Justice of Pakistan Justice Mian Saqib Nisar on Tuesday remarked that Additional Attorney General Nayyar Abbas Rizvi was probably removed from his post for speaking the truth and that the government sacks those who stand up for justice. A three-judge bench headed by the chief justice heard a suo motu case against illegal constructions in the Bani Gala suburbs of the federal capital. As the hearing went under way, Justice Nisar inquired about the update regarding regularization of Prime Minister Imran Khan’s residence and whether he had submitted a request for it. “Is there a delay in the regularization of properties only because of Imran Khan?” the top judge further questioned. Justice Nisar further sought details of those who have applied for regularization of their properties and those who have deposited the regularization fee. The Capital Development Authority (CDA) chairman informed the court, “Over 100 applications have been received.” At this, the chief justice questioned whether further information and documents have been sought from the applicants. Further during the hearing, the deputy attorney general told the court, “We were given the file of the case after a delay.” The chief justice then asked him to look-over the file and said that the court will take up the case after a break.